Construction Europe published an in-depth article on roadbuilding. The feature focuses on the newest machinery and technology innovations from companies such as Volvo, Caterpillar, Doka and TinyMobileRobots. 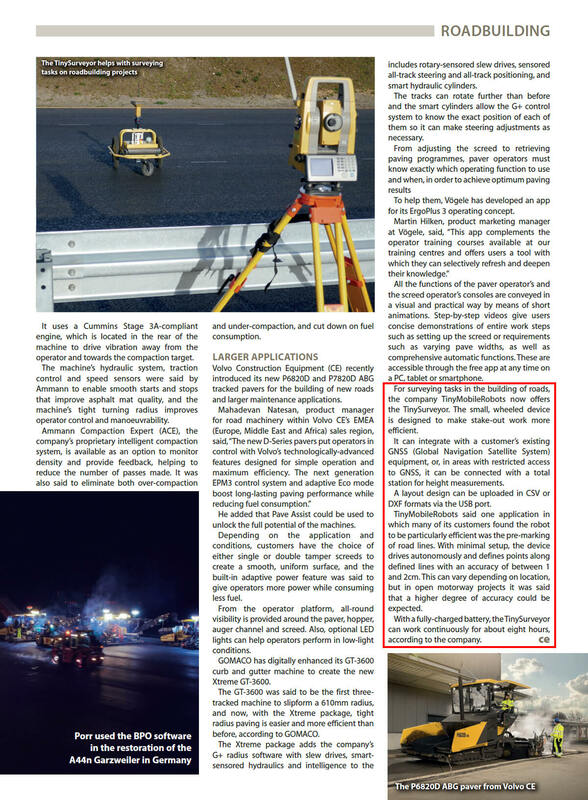 Download the feature below to learn more about how the TinySurveyor robot can be used for premarkings and height measurements in road construction projects. Construction Europe is part of KHL Media, a global media hub for the construction, demolition and rental industries. KHL Media publish a series of industry-specific magazines such as International Construction, International Rental News and Construction Europe.